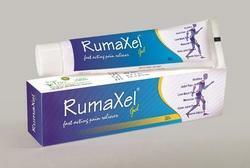 Leading Manufacturer and Exporter from Ahmadabad, our product range includes Orthopaedic Products Range.... such as Herbal Calcium Supplement with Trace Elements, Herbal Capsule for Spondylitis, Concentrated Formula with Sallaki - Argone- MR Capsule, Rapid Relief from Various Arthritis - Nuflam-MR-Capsule, Herbal Pain Relief Gel - Rumaxel, Pain Relief Oil - Rumaxel and many more items. Acute and Chronic Pain, Sprains, Arthritis, Sports Injury, Muscular Pain, Inflammation, Rheumatism, Stiff Joints, Stiff Neck, Spondylitis, Lumbago, Sciatica, Joint Pains, Paralysis, Hemiplegia, Paraplegia, Facial Paralysis, Headache. Packaging Details: Standard Packing or as Requested by Buyer. Packaging Size 20 x 10 Caps. Packaging Type A Box Pack of 20 x 10 Caps. Herbal Capsules for Accelerates Healing in Fractured Bones, Strengthens Bone-structure in Osteoporosis, Osteoarthritis & Rickets. Shuddha Sallaki Gum 200 mg.
Rheumatism, Rheumatoid arthritis, Joint and muscular pains, Low backache, Lumbago, Sciatica, Frozen shoulder, Tennis elbow, Morning stiffness, Stiffness of joints, Gout & Gouty arthritis, Osteoarthritis, Osteomyelitis, Osteoporosis. Type Of Packing 50 ml Bottle with attractive outer carton pack. Acute and Chronic Pain, Sprains, Arthritis, Sports Injury, Muscular Pain, Inflammation, Rheumatism, Stiff Joints, Stiff Neck, Spondylitis, Lumbago, Sciatica, Joint Pains, Paralysis, Hemiplegia, Paraplegia, Facial Paralysis, Ear Pain Headache. 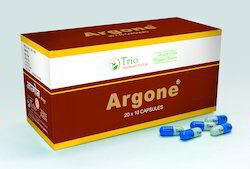 The above wholesome compound renders excellent treatment in acute and chronic stages in planned management of rheumatic, arthritic and Collagen complaints, such as Osteo-arthritis, Neuralgia, Sciatica, Ankylo-Spondilitis, Fibrositis, Back- ache, Gout, Joint & Muscular pains. GUGGUL THERAPY, pain absorber with high degree of safety, accelerates healing process in bone fracture, and specially useful in Osteo-malacia, Osteoporosis, Rickets, and to enrich Bone-marrow, as a CALCIUM REINFORCEMENT. Long –acting with no side eff ects. Herbal Capsules for Rheumatoid- Arthritis, Osteo-Arthritis, Spondylitis, Gouty Arthritis, Sprains, Frozen shoulders, Lumbago, Sciatica, Migraine, Neuralgia etc. Packaging Details: A box pack of 20 Blister Strips, each Strips Contain 10 Capsules of NUFLAM-MR.
Packaging Details: A box containing 20 Strips of Blister with three colour Foil Printing. 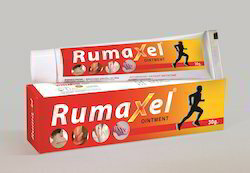 Each Strips containing 10 capsules of ARGONE - MR.
Packaging Type RUMAXEL Oil : - 50 ml Bottle with attractive outer carton pack. 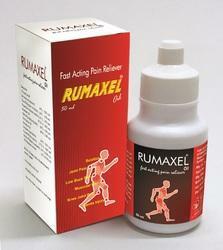 Packaging Details: RUMAXEL Oil : - 50 ml Bottle with attractive outer carton pack. Packaging Type 1X10 Mono Pack with 10 X10 Outer Box. 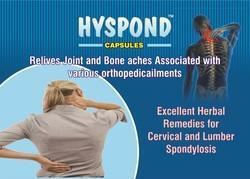 Ayurvedic / Herbal Capsule for Spondylitis, Cevical Spondylosis, Neruralgia of shoulder and back. Trigonella foenum graecum 75 mg.
Packaging Details: 1X10 Mono Pack with 10 X10 Outer Box. Rheumatoid- Arthritis, Osteo-Arthritis, Spondylitis, Gouty Arthritis, Sprains, Frozen shoulders, Lumbago, Sciatica, Migraine, Neuralgia etc. 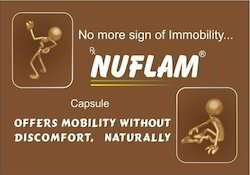 Packaging Details: There are two types of Packing are available in NUFLAM CAPSULE. 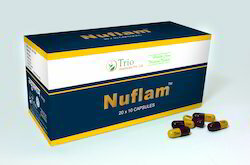 A box packing Contain 20 blister Strips of 10 Capsules of NUFLAM. Packaging Type Standard Packing as Requested by Buyer. Dose Two Capsules of NUFLAM twice in a day with water OR as Directed by Physician. Packaging Details: A Plastic Jar Pack of 250 Capsules of NUFLAM. Dose One to two tablets three times in a day after meal or as directed by the Physician. Packaging Size A HDPE Plastic jar pack of 250 tablets. Ardrak Rhizomes (Zingiber Officinale) (A.B.) 10 mg.
Eranda Seeds (Ricinus communis) (A.B.) 10 mg.
Guduchi Stem (Tinospora Cordifolia) (A.B.) 10 mg.
Nirgundi Panchang (Vitex negundo) (A.B.) 10 mg.
Mahayograj Guggulu (A.B.) 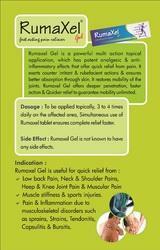 40 mg.
Shallaki Gum Resin (Boswellia Serrata) (A.B.) 40 mg.
Abhraka Bhasma (R.T.S.) 5 mg.
Ativisha Roots (Aconitum heterophyllum) (A.B.) 5 mg.
Lauha Bhasma (R.T.S.) 5 mg.
Mandoor Bhasma (R.T.S.) 5 mg.
Rasna Roots (Vanda Roxburghii) (I.M.M.) 5 mg.
Vanga Bhasma (R.T.S.) 5 mg.
Yashad Bhasma (R.T.S.) 5 mg.
Packaging Type 50 ml Bottle with attractive outer carton pack. Packaging Type A HDPE Plastic jar pack of 250 capsule. Packaging Details: A plastic jar pack of 250 capsule. 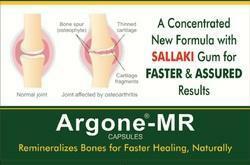 Natural Calcium Supplement with Element. 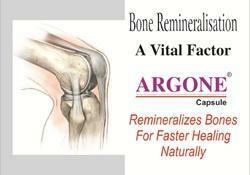 Strenthens weak Bones,Cartilage and Ligaments and assists healing mechanism after bone injuries. Helpful in Arthritis,Osteoporosis and other bone Related Ailments and injuries. Boswelia Serrelta (A.B.) 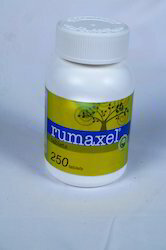 250 mg.
Vitex Negundo (A.B.) 200 mg.
Osteoarthritis, Joint pain, Back pain, Arthralgia, Spondilytis, Painful and inflammatory conditions related to musculoskeletal system. 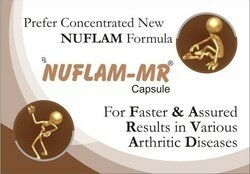 NUFLAM-MR is a powerful analgesic, anti-inflammatory, anti-pyretic and anti- rheumatic capsule. NUFLAM-MR is a potent nonsteroidal anti-inflammatory drug (NSAID) and totally free from any side effect. The ingredients Maharasandi Quath, Pathiadi Quath, Sulgajkesri Ras, Sulvarjini Ras, Banga Bhasma, Shankh Bhasma and Godanti Bhasma are very effective and very safe in the treatment of Rheumatism. NUFLAM-MR tones up the muscles and nerves. DOSAGE :One Capsules of NUFLAM-MR twice in a day with water OR as Directed by Physician. PRESENTAION :A box pack of 20 Blister Strips, each Strips Contain 10 Capsules of NUFLAM-MR.